In a perfect world, your carpet would stay plush, beautiful, and spotless forever, however, that isn’t reality. It is inevitable that your carpets are going to get dirty. That is where our professional carpet cleaning services in San Antonio can help you out. No matter how hard you try to keep your carpets clean, in time they are going to attract dirt, show stains, and begin to wear. And why wouldn’t they? Carpet is walked upon hundreds of times throughout the day and experience an immense amount of wear and tear. Whether you have carpet in one room or your entire house, you probably love the warm feeling that your carpet brings, but hate the way they look over time. With Steam Master Cleaning and Restoration, we have the perfect solution to make your carpets look as good as new. With the some of the most experienced professionals in the business, you can trust our carpet steam cleaner methods to work. We believe in not only making your carpet look like new but doing so in a reliable manner. If you are like many, you faithfully vacuum every carpet and rug throughout your home at least once every week or two — maybe more if your dog is shedding or your toddler spilled their crackers and proceeded to walk across the crumbly snack. Little messes happen, and that’s what the vacuum is for. No big deal, right? Well, what you may not know is that vacuuming does not could as carpet cleaning. Yes, you read that right. 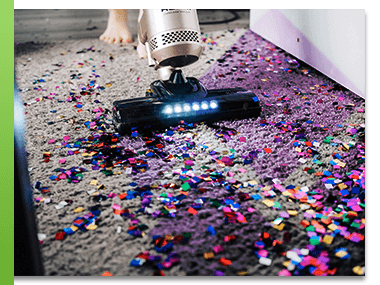 Vacuuming is great for day-to-day messes and cleaning up those broken bits of cracker your little one is trying to grind into the carpet fibers. What it does not do, however, is actually cleanse your carpets and rugs. The difference between vacuuming and a proper carpet cleaning lies in the methods. A vacuum has a brush at the base that breaks up surface dirt so the suction can pull it up and out. However, the bristles aren’t typically enough to break up the dirt and allergens that get ground deeper into the carpet fibers. If your only means of cleaning your carpets is occasionally running your vacuum over everything, you’re likely missing half or more of the gunk trapped in the fibers. Not only can this lead to illness, but leaving dirt and debris in your carpet fibers will actually wear away your carpet fibers and cause damage. 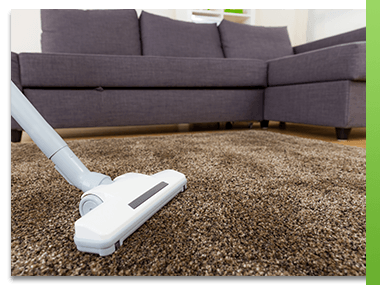 Now, what may surprise you is that steam cleaning isn’t actually much better — well, steam cleaning as performed by a home carpet steamer. The heat can go a long way to break up dirt and suction it out of the fibers. While that may sound pretty good, at-home steam cleaners often cause just as many issues. When used improperly, too much water can be left in the carpet where it will sink down toward the base of the carpet and the padding below. Most people move too quickly to suction up enough water. Instead, it hangs out, molds, and wrecks the carpet. As you may know, mold growth can lead to illness and ongoing health issues. The only way to truly clean and protect your carpets is to schedule periodic professional carpet cleaning services. 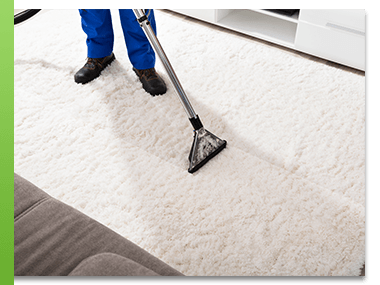 The reason professional carpet cleaning differs from at-home methods is because of the combination of specialized cleaners, machines, and training we use. We use cleaning products made specifically for carpets, to break up ground-in dust and dirt without harming the carpet fibers. Our machines do apply steam to further loosen ground-in gunk, and the heat works to kill germs, but our systems are specially designed with powerful enough suction to collect as much water as possible. No mold growth here! Just dust-free, clean carpets. There is no one easy answer for how often you should be scheduling professional carpet cleaning services. That being said, there are a few guidelines to help you figure out the right answer for your needs. First, check your carpet warranty guidelines. Since professional carpet cleaning is the only way to truly clean your carpets, as we discussed above, most carpet manufacturers will only provide warranty coverage if you have dutifully cared for your carpets — and that means doing more than vacuuming. 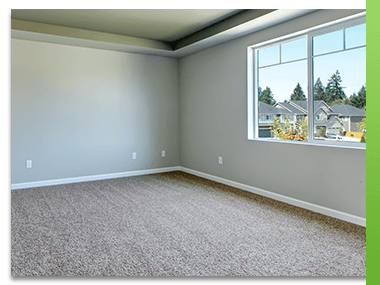 The frequency will vary because some carpet materials are more durable than others, but the average warranty requirement is generally to have your carpets professionally cleaned every year to year and a half. Some of the more durable options may go as long as two years between required cleanings. The thing to note here is that most warranties will not accept at-home steam cleaners or vacuuming as sufficient care. In order to get that warranty coverage, you’ll need to be able to show you’ve had professional cleaning services maintain your carpets. The good news is, with regular carpet cleanings plus spot cleaning and vacuuming in between, you can expect a longer lifespan from your carpets. Of course, just because your warranty demands a certain frequency, that doesn’t mean you can’t have your carpets cleaned more often. In fact, if you fall into certain circumstances, you will likely want to invest in more frequent cleanings. One big factor is if you have pets. Specifically, if you have dogs or other pets that spend time outdoors as well as inside, you’ll want to increase how often you have your carpets professionally cleaned. Indoor/outdoor pets track a lot more dirt and grime in, which will wear down your carpets more quickly. In order to keep them in good shape, you’ll need to get that gunk cleaned out more frequently. The frequency necessary will depend on how many pets you have and how much gunk they drag in on their paws. Some pet owners need to schedule steam cleanings as often as every six weeks, while other pets may cause a need for cleaning every three or six months. The frequency may also pick up during muddy spring rains and taper off during dyer times of the year. The other key thing to consider when planning your carpet cleaning schedule is if anyone in the household has allergies, asthma, or other respiratory concerns. Carpets frequently capture and trap pollen, dust, and other allergens that can affect breathing. If you or someone else in the house has breathing concerns, you may want to increase the frequency with which your carpets are professionally steam cleaned. Of course, regularly scheduled professional carpet cleanings help get rid of a wide range of things in your carpets, so allergies and asthma aren’t the only health issues that can be helped. Want to learn more? Call us for a consultation and we can provide you with individualized information based on your needs. 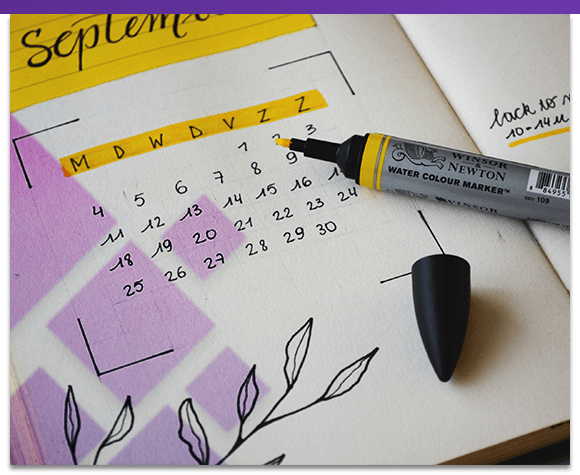 Whether you own your own home or manage an entire apartment complex, one of your goals is undoubtedly to keep everything in good repair. The idea is that any well-maintained home will last longer and have fewer costly repair needs. Sounds great, right? Of course it does. Well, as you’re fixing that broken cabinet door and making sure your windows are all working properly, don’t forget your carpets! The ultimate goal of any carpet care is to keep it clean (of course), but also to help it last as long as possible. The lifespan of a carpet will depend a lot on the carpet itself and the padding underneath, but you can reasonably expect a carpet to last between 10 and 20 years. A good indicator is to check your carpet’s warranty information. With the appropriate care, you can expect your carpet to last as long as the warranty, and hopefully longer. The longer your carpet lasts, the more you can save. Of course, money savings are nice, but that’s not the only reason to worry about the state of your carpets. The other big part of carpet care is keeping it clean. The fibers can harbor a lot of dirt, dust, mold, and other gross particles — including some illness-causing bacteria. Keeping your carpets clean helps minimize allergens and illness as well as general grime. As we talked about above, vacuuming alone isn’t enough to get your carpets clean. The issue is that the carpet fibers are really great at trapping little particles to keep them out of the air. The downside is that the fibers are also really great at holding onto those little bits of grime when you go to clean them. Your vacuum’s brush will dislodge some of the particles in your carpets, but even the best brushes aren’t enough to dig down to the root of the fibers and break up all the dirt so your vacuum can suction it up. Not only does this mean the bottom half (or two-thirds) of your fibers are full of dirt and grime from who knows how long ago, but it means your vacuum is really only good for getting the surface clean. The problem with dirt and grime getting stuck in the lower portion of the carpet fibers is that it will actually wreck the fibers over time. The bits of dust, dirt, and your toddler’s cracker snacks that collect in the fibers are abrasive enough to wear down and rip the fibers. If you want to make sure your carpets last as long as possible, it’s important to regularly clean them all the way to the base of the fibers. The frequency, as we discussed in the above section, will depend on a lot of environmental factors. Just because your vacuum doesn’t clean up all the dirt in your carpets, that’s no excuse to stop using it! Part of keeping your carpets in good shape does include vacuuming them regularly — especially when food crumbs and other gunk is spilled. In addition, it’s important to make sure you clean up liquid spills on your carpet as soon as possible after they happen. Dab or blot at the stain, then use a carpet-specific cleaner and follow the directions to clean up the rest of the mess. Avoid rubbing, as that will push the liquid deeper into the carpet’s fibers. The other half of the equation, as you may have guessed, is having your carpets professionally cleaned. Many warranties specify that professional carpet cleaning has to happen at certain intervals, or the warranty is void. Beyond that, professional carpet cleaning is the only way to truly get your carpet clean! Here at Steam Master Cleaning & Restoration, we use specialty cleaners and equipment designed to get all the way down to the root of the fibers and break up gunk without damaging the fibers themselves. The combination of cleaners and heated steam dislodges dirt, debris, and allergens from the fibers so it can all be suctioned up. In addition, our equipment does something that at-home steam cleaners don’t: suction up enough water to avoid moldy carpet pads. 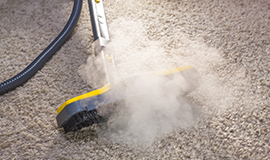 Unless you know for sure, it’s better to be sparing with your at-home steam cleaner — use it for cleaning up liquid spills, but not for whole-carpet cleanings — because if your steam cleaner doesn’t have powerful enough suction, the excess water can collect in the carpet pad, encourage mold growth, and lead to an extensive carpet replacement. Want to know more? Let the Steam Master Cleaning & Restoration team help. Contact us for more information and professional carpet cleaning services across San Antonio. It helps your carpets last longer (and saves you money). It makes your carpets look and feel amazing! It helps minimize airborne allergens so you can breathe easier. It gets out tough, unsightly stains. It helps your house look great with no effort from you. It cuts down on mess from kids or pets. It makes it easier to maintain good carpet cleanliness in between professional cleanings. It cuts down on dirt and bacteria, which can help reduce illness. It promotes better overall air quality by removing pollutants that vacuums can’t get. It helps your carpet’s warranty remain valid. There are so many other benefits to investing in professional carpet cleaning services. Connect with the Steam Master Cleaning & Restoration team to schedule your cleaning! Making your carpet feel and look like new. Whether you would like us to remove a single stain, or have your entire house cleaned, we go out of our way to provide you with superior results each and every time. If you are not happy with your carpet cleaning results for any reason, we will come back and re-clean your carpets free of charge. There is no reason you have to live with dirty and damaged carpet. 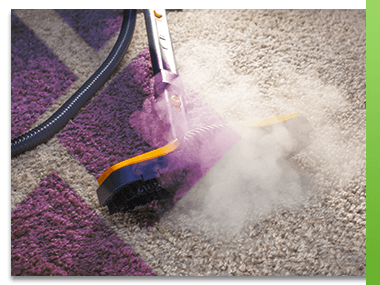 With Steam Master Cleaning and Restoration on your side, your carpets can look like they used to. Contact us today for your Speedy Fast™ Bid, and schedule your residential carpet cleaning now!